Visiting as many restaurants as we do, it would be easy to become “Jaded” in respect of similar food offers and operating practices. But we are in fact inspired every day by discovering passionate and innovative owner operators who really care about their customer base and the food and beverages they offer them. That inspiration rose to new levels when we sat down with Matthew Coltrin and Executive Chef Brad Homes at The Parkview on Winter Park’s very popular Park Avenue. Matt has been in control of the site for over ten years so he knows the area and his customers very well and recently acquired the many skills of Brad Holmes to take the food service to another level. The Parkview has always been serious about wine, from the wine glass, to the extensive selection of wines at all price levels, to the generous pour, but now Matt and Brad have upped their food game to match what is probably the best wine experience on the avenue. Let’s start with the wine. Matt can be found at the restaurant on most days negotiating with wine shippers and suppliers to select interesting and top-quality wines from around the world, combining them into the vast library of wines for selection and presenting some as “Wine Flights” to allow customers to experience something new. A great example of this would be the “Hanging Garden Flight” which sees wines from Ancient regions such as Lebanese Massaya, Greek Cavino, Turkish Buzbag and Dalton from Israel compete for your favor. You can select your wine from the great wine menu or browse the wall cabinets to choose something different, wines can be either consumed in the restaurant or priced to take home. Wine not your thing? Then The Parkview has a vast selection of craft beers including rare bottle and large format options. Moving on to the food, which now definitely has “Bistro” stylings, we want you to know that although they have some great examples of these dishes, Parkview is so much more than Flatbreads and Olives. Fresh Catch en Papillote – Todays catch was Yellow Tail Snapper, with Crab Butter, Summer Squash & Zucchini Slaw, Lemon & Herbs, Roasted Potatoes & Green Bean Almandine. 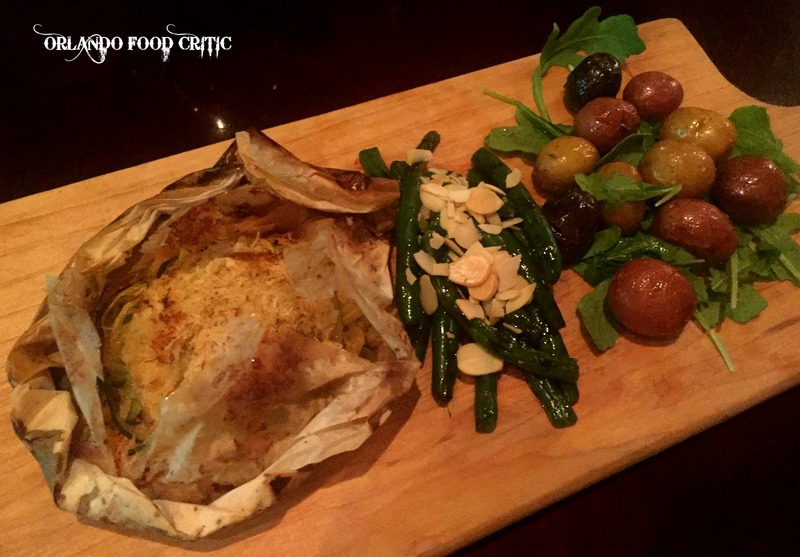 The Snapper, Crab, Squash, and Herbs are delicately steamed in a parchment parcel, outstanding taste and beautifully presented. 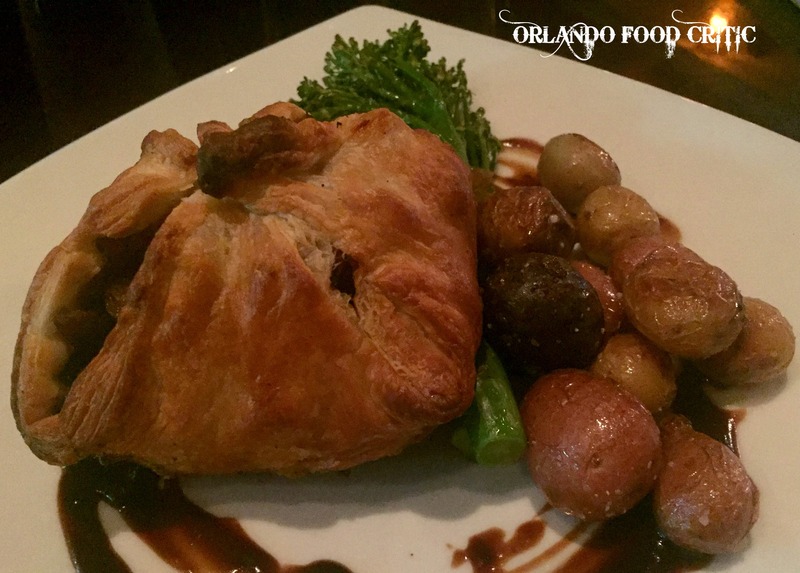 Braised Short Rib Wellington – 72 Hour Short Rib, Caramelized Onions, Butter Braised Mushrooms, Sun Dried Tomato, Broccolini, Roasted Fingerling Potatoes & demi Glaze jus. A great Parkview take on the traditional Wellington, the 72 Hour Short Rib just melts in your mouth. Baked Gnocchi – Tomato Mornay, Sundried Tomato, Green Onion, Goat Cheese, Bacon Crumble & Parmesan Cheese. Perfectly cooked Gnocchi a great appetizer or small plate. Spring Salad – Field Greens, Poached Pear, Dried Cherries, Smoked Bleu Cheese, Candied Walnuts & Champagne Vinaigrette. The pear and the Blue Cheese make this salad “Pop”. Confit Chicken Wings – House Cured Confit Wings, Sweet Chili Hop Syrup, Basil Pesto or White BBQ Sauce. Although we did not try this dish on our visit, a customer exiting the restaurant as we were arriving held the door open and told us without prompting “Try the Chicken Wings they are Awesome”. They for sure will be on our list for next time. We also chose from the Charcuterie & Cheese Board section but will cover in a separate post as the complexity of flavors and balance deserves a special mention. I think you can tell, we loved the food, we loved the wine, Heck we loved Parkview! Matt really knows his business and will not compromise on quality and the customer experience by chasing the almighty dollar, he knows what his customers want and he delivers, whilst at the same time trying out new things to keep his offer fresh and acquire new Parkview converts. 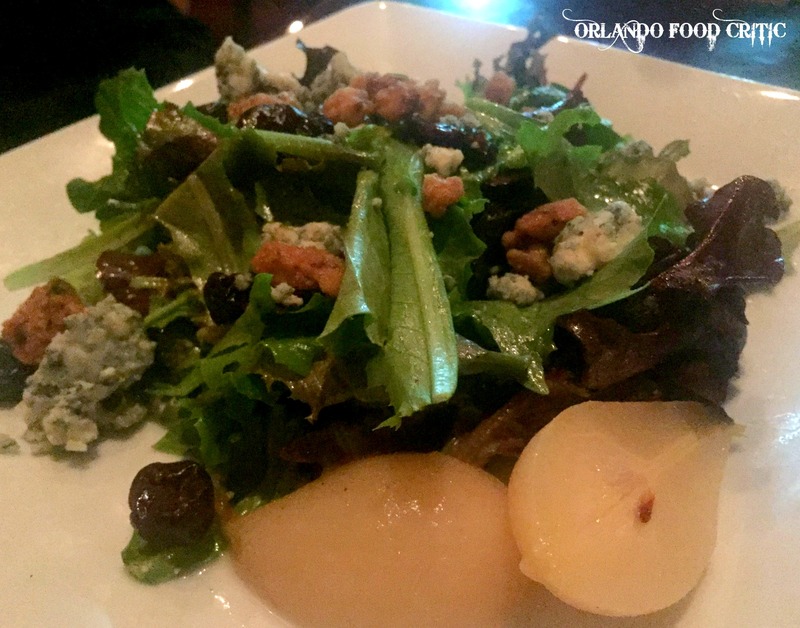 Brad has brought his extensive experience from some of the top restaurants around Orlando to the Parkview and uses local farms and vendors wherever possible to deliver outstanding quality food at affordable prices. Service is warm and friendly, they really do care that you are having a great time, create a great atmosphere and make you feel like a regular customer. No small feat. We are certainly converts, how about you?